Flax oil -- which contains large amounts of omega-3 essential fatty acids in the form of alpha-linolenic acid -- is one alternative to fish oil supplements. The body converts ALA into two forms of fatty acids, eicosapentaenoic acid and docosahexaenoic acid. However, the body has difficulty converting ALA as easily as fish oil, and researchers have doubts about flax oil’s benefits. Talk to your medical doctor before taking any dietary supplement. Flax oil may decrease symptoms of Sjogren's syndrome, a condition that affects your immune system and commonly produces dry eyes and decreased saliva. The mucous-producing glands in the body decrease production. Women over the age of 40 most often suffer from the condition, MedlinePlus reports. The University of Maryland Medical Center reports that taking 1 to 2 grams of flaxseed oil daily can decrease dry eye symptoms related to Sjogren’s syndrome; however, more research is needed to determine the supplement’s effectiveness. Omega-3 fatty acids decrease the risk of heart disease. The essential fatty acids decrease blood clots, inflammation and heart rhythm irregularities. Blood pressure may slowly lower when consuming extra ALA. Still, more evidence is needed to determine how effective flax oil is because of the body’s difficulty of converting ALA to EPA and DHA. Harvard Medical School suggests adding flax oil to your diet as a backup, but not a substitute, for fish and fish oil supplements. Flax oil has a variety of other uses -- such as decreasing constipation, promoting weight loss and reducing the risk of breast and prostate cancer -- but there is no scientific evidence the supplement is effective. MedlinePlus reports that people also apply the oil to the skin to decrease skin irritations and for skin-softening benefits. The oil is often used as a salad dressing, but flax oil should not be used as a heated cooking oil. Flaxseed oil does not have the same benefits as consuming ground flaxseeds, the University of Maryland Medical Center explains. The oil does not contain the fiber, lignan or protein components whole or ground flaxseeds contain. MedlinePlus says flax oil is probably safe when used for three months or less. Taking 30 grams or more of flax oil a day may lead to diarrhea. Do not take flax oil when pregnant or breast-feeding, unless approved by a medical professional. Take caution when combining flax oil and anticoagulant medications, as the oil may increase your risk of bleeding and should be avoided prior to surgery. Always store the supplement in a refrigerator. Flax oil can be refrigerated safely for six to eight weeks without spoiling. 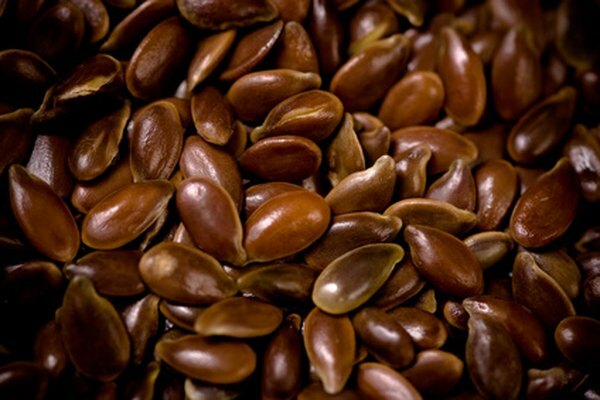 The Harvard Medical School Family Health Guide: Why Not Flaxseed Oil?